On July 7, 2018, Hikari Japanese School Lippo Cikarang held the Tanabata Festival. Enlivened by the students, parents, teachers, and some invitee, the festival is lively celebrated, highlighted with Japanese atmosphere. 25 students of Hikari Japanese School performed some songs accompanied by harmonica, flute, and piano. Also, a teacher told about the story of Tanabata. In Japan, Tanabata is always celebrated at the 7th day of the 7th month. Tanabata is a legend about the separation of Orihime, the Princess of the Stars who loved to weave, and Hikoboshi a shepherd. After they met, they no longer carry out their duties, making the God of Heavens angry, and separated them both. From then on they could only meet on the 7th day of the 7th month, on the Amanogawa river. They often prayed, wrote their wishes, and hung them on the bamboo trees for their prayers to be heard. Now, Tanabata is also celebrated as the summer festival in Japan, where Japanese citizens still write down their wishes and hang them on bamboo trees. Like other festivals, Tanabata at Hikari Japanese School was also filled with a variety of traditional Japanese game booths and Japanese food stall, which added festivities of the event. Matsumoto Midori, the Principal of Hikari Japanese School said that this year’s Tanabata Festival is the fourth time held at Hikari. 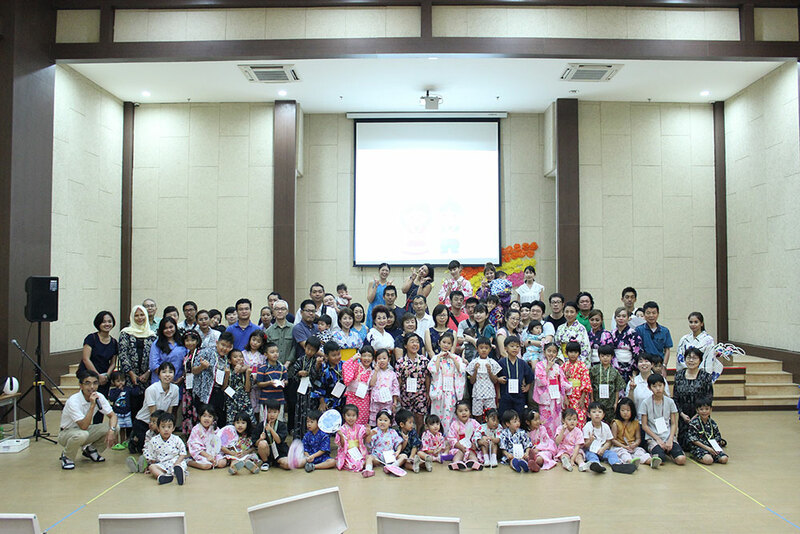 “The purpose of this event is to celebrate Japanese tradition with the Japanese citizens in Indonesia. And certainly provide opportunities for children to celebrate Tanabata event,” said Midori san. Dwi, one of the parents also expressed his sense of happiness to take part in this festival, “It feels good to help the school in the festival, and make the kids here happy”. The parents also help by taking care of the game booth, keeping the food stall, preparing food, etc.